The starting point was our desire for a larger network: “Vienna Lab must be, for Vienna and elsewhere, a tangible sign that another economy is possible,” read the invitation. So, Saturday November 10, 17 people met in Vienna, at the Seminar centre ‘Am Spiegeln’ for an intense first exchange of opinions. Among them were young people, housewives, autonomous workers, entrepreneurs and managers, coming from the Schönstatt, from the Focolare Movement, committed with ATTAC- Austria, or from other organizations and social political initiatives. Vienna Lab was the occasion to reflect together on how one can commit oneself in a society where, through an economy oriented towards the community, there would no longer be people in need (base idea of the EoC), where the economy allows a dignified living for all (guide-thought of the economy for the common good), where, in ones’ workplace, one can realize oneself in such a way that being together adds a value appreciated by all (dominating theme of the Schönstatt movement). In the background at Vienna Lab, Karl Pühringer, one of the organizers, and active member of the EoC, expressed himself this way: “For a few years now, in Vienna there have been regular meetings for exchanges of opinions and experiences by a group of business people who go into depth to learn and practice the principles of the EoC. 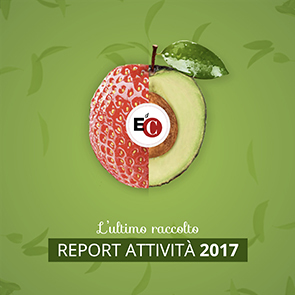 During this past year a desire has made itself felt among the group to extend the network and thereby bring the stimuli of the EoC beyond the circle of businesspeople.” The young people of the Focolare Movement having also shown their interest to commit themselves in favor of a more just economy. So, for example, in the summer Mariapolis (a vacation program for all people with a spiritual framework) they organized a seminar that was very well attended, on the topic of “The economic crisis seen up close.” Here, Vienna Lab had its beginning: to try to build a vast network of alternatives in the economic field. The ideas referred, on the one hand, to Initiatives already in existence, and on the other, to new inspirations for promoting an economy oriented towards the community, to go in depth or to put oneself in relationship with it. One of the things which contributed to make the event fruitful at Vienna Lab, was the principle according to which social activities should be conceived in such a way as to qualify for sustainability, stimulus towards autonomy, opening to and quality of relationships. Discussions following the brainstorming were so alive and rich with ideas that the time allowed for the workshops – elaboration of one or more concrete approaches for each topic – was sadly missing. However, even if the greater part of those involved had a full schedule already, they were all in agreement on one point: Vienna Lab continues. How? We shall see in the coming weeks. “It was a meeting of great value and we are grateful to God for it,” concluded Karl Pühringer. The vision of ‘Vienna Lab – Vision’ was clear in the invitation, where it said: “In the fourth year of the economic crisis many men and women seek new perspectives. 21 years from the birth of the Economy of Communion (EoC) we want to launch new impulses that will work through the circle of businesspeople. We turn to all economic agents of society in line with the spirit of the original vision of Chiara Lubich: an Economy of Communion for a society where there will no longer be people in need. We are guided by a thought: to overcome poverty through actions in the economic field. The Idea: that the multitude of operators, consumers and dependent workers, managers and entrepreneurs, teachers and professors, scholars and students, establish with all, but in particular with those who are disadvantaged and emarginated and who find themselves in need, relationships of esteem and parity of rights. Through this ‘Culture of Giving’ all those who are involved will experience a mutual increase and enrichment of theirown personality. With these premises, under the name of ‘Vienna Lab’ we wish to launch the initiative to create a network of interested people who are willing to fix their eyes on the many different faces of poverty and to turn towards alternative forms oriented towards the community in daily economic life and in the social field, or those people who have the intention to develop such alternatives. In the past few years, this experience has very clearly crystallized in the so called ‘Socialdays’ in Vienna and in the EoC courses at the Liceum School of Waidhofen which will serve among other things, as a take-off point for a common discussion.